* As the citrus burns off, a dry tobacco mixed with violet leaf gradually increasing in intensity. * After the heart it starts to wear really close to the skin. * The base is a dry and woody with a hint of sweet tonka. Summary: This scent was one of the highlights of NY Now for me. I’ve recently started exploring skin care oils, and so it seemed right to explore fragrance oils as well. It is office-friendly after the first 30 minutes and will last through the entire work day. 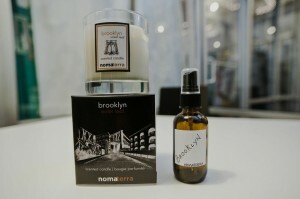 After visiting Brooklyn, the scent really fits what I saw – refined roughness, or manly-but-groomed. If the classic Marlboro man was citified, this is what he would smell like. 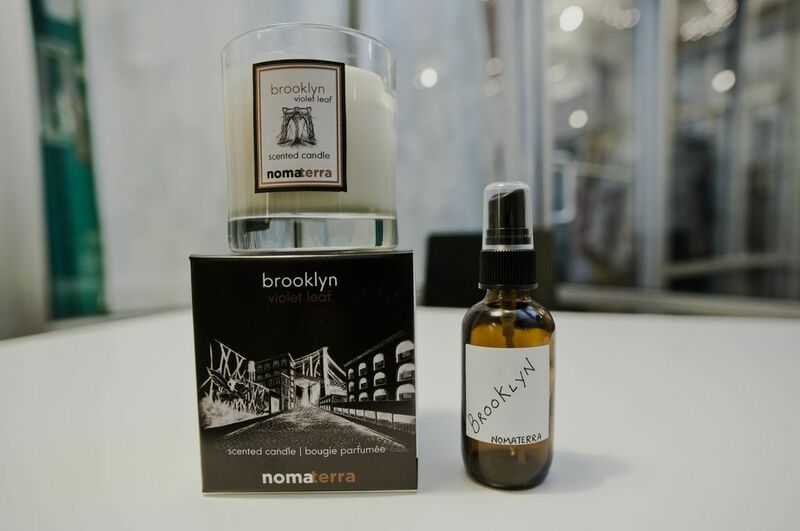 This scent is exclusive to the Brooklyn boutiques and it is worth hunting down. It is also available as both an EDT and a soy candle (which has excellent throw). I look forward to exploring more of the samples I got from this artisan line. Nomaterra fragrances are available from their website and boutiquest. Brooklyn Violet Leaf is exclusive to their Brooklyn boutique. It is worth the trip from Manhattan to check out. Disclaimer: Sample provided by Nomaterra. Image courtesy of Nomaterra.